This is the bookend to the first eclipse and can be a difficult energy for some of you if you happen to be in the middle of any kind of conflict. You could be conflicted by your own confusion or a relationship or an important decision you need to make. If this is you, use the new moon/eclipse as an ally to help you punch through this uncomfortable place of limbo. If you are sitting in the field of ambivalence, it is time to make a decision. Change the field of ambivalence to one of certainty and make that decision from your heart and not your head. This is a moon aligned with community and the support and help of others as well as your unseen allies and spirit. So, don’t be afraid to ask for it. And as usual for every new moon, it is a great time to revisit your intentions to make sure they are still aligned with what you want. Adjust and refine as needed so you stay on track. Use the eclipse energy of change as an ally to anchor any change you are determined to make in your life right now. A new moon is a still point and this one is good one to experience the stillness that aligns right timing. Solar Eclipse falls in a celebratory week with Mardi Gras on the 13th, Valentine’s Day on the 14th, partial solar eclipse on the 15th, and Chinese New Year on the 15th-16th. 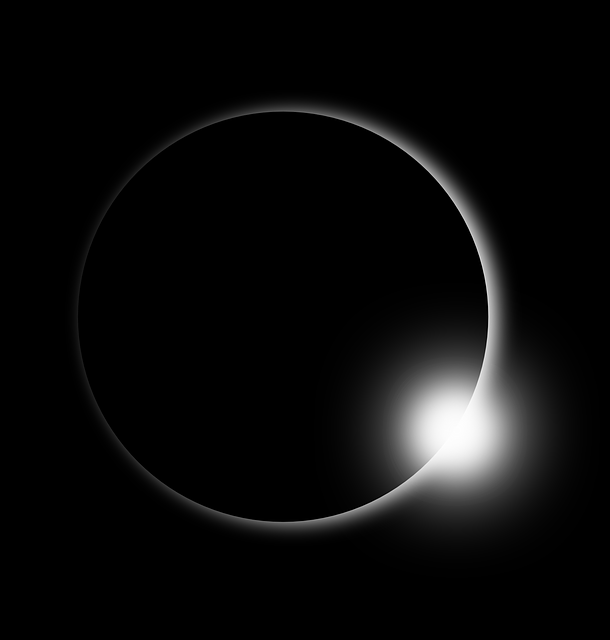 This Aquarian partial solar eclipse visible in southern South America, most of Antarctica and the southern most Pacific and Atlantic Oceans bookends the eclipse period of big change and shift begun at the Total Lunar eclipse in Leo on January 31. Whether you are under the light of the eclipse or not, it effects the whole planet, you included. New Moon is always a reset moment; an eclipse heightens that dynamic. What is closing for you and what is now beginning? That is worth a moment of reflection as all the focus (thank you Saturn in Capricorn) that has gone into determining how we want to create and manifest our selves, our lives, our world in new ways while releasing the old are beginning to pay off for those who have really honed and worked with their intentions. An Aquarius New Moon brings us the blessings of a power sign in the AIR element lending us mental clarity, the detachment and perspective to rise above and see the big picture beyond our own personal center and consider where are the needs for healing social change that will be more inclusive. Aquarius rings the bell of our revolutionary energy. Freedom is the foundation of Aquarian’s need to be self-reliant. Aquarians need room to be innovative, to express their individuality and eccentricities. Aquarian energy is not personal, but it is social and friendly, inquisitive and experimental. Aquarius is a fixed sign, so they tend to have very clear boundaries. In the negative pole they can be thoughtless, even fanatical and unreasonable, and eccentric beyond the beyond and into the weird. Because of their modern rulership by Uranus, they can be the most eccentric of signs. The planet Uranus, discovered in 1781, the decade of revolution, proletariat rebellion and democracy, actually rotates perpendicular to all the other planets in our solar system. Now that’s eccentric! That fixed mental quality can also be attributed to their traditional ruler, Saturn, which gives them admirable integrity and dedication to TRUTH and IDEALISM. Uranus also brings in a scientific bent and the brilliant creativity of genius to all they do. Aquarius is a master at creating on the visionary astral planes, turning it over to Spirit and watching it manifest on the physical planes. The high frequency energy of Uranus gives true visionary perspective as well as access to energy medicine like Reiki, hands on healing, acupuncture, sound therapies, etc. In this New Moon chart, Mercury and asteroid Juno, goddess of committed relationships, are conjunct the Sun/Moon. Our mental faculties are up for a reset. Mercury is the Messenger and gatherer of information, the Networker, governing how we think, communicate, teach and learn. Our thinking includes our versatility and adaptability, how we reason, and the symbols we respond to and use. Mercury relates to our need for exchange, how we interact in our day-to-day commerce with clerks and neighbors. Mercury rules our nervous systems, a complex electro-magnetic information processor connecting us to our environment in so many ways we are just beginning to understand. Time for some reframe in the form of conceptual, high frequency thinking reform. A progressive, intuitive use of the mind is called for here. We’re in the shift to a new dominant frequency/paradigm and here is the portal to aid and revamp our reasoning, conceptual base and language use. What do you hear yourself saying that points to the ideology of your past? What is your commitment to shifting a mental habit detrimental to you moving forward in manifesting your intentions? It takes about three weeks of discipline to change a mental habit. New Moon is the perfect time to begin. Because Juno is within 1º of the New Moon, our communication and mental constructs around our marriage relationships, partnerships, business associations (often very committed; their outcome determines your outcome and vice versa) can benefit from an upgrade. Are you willing to deconstruct your most stressful situations that erupt into power struggles? Inequality is a major focus and issue for Juno. She doesn’t like to be disrespected. She was, after all, Queen of Heaven prior to agreeing to be Zeus’ (Jupiter’s) wife. Juno in Aquarius is going to make you sort for room to be free and express your individuality within a relationship. Juno here is way outside the traditional with all matter of couplings accepted if they have integrity and are in alignment with the agreements made. Juno in Aquarius opens the door for experiencing NOT being in a committed relationship and learning about that freedom. Mercury and ruling planet Uranus are in a positive aspect to each other (sextile 60º) helping us on our New Moon revamping mission of our mental, communication and visioning habits. It’s an open road full of opportunity to be better versions of our current selves that we all want, and an eclipse period gives added power to that desire. I also see a Finger of God, a triangle focused on Ceres in Leo, that Earth Mother energy so prominent at last Full Moon, with Venus in Pisces and Saturn in Capricorn forming the base and offering us stability and structure for our social relationships, our intimate relationships, our finances, and Ceres brings in empowerment for self worth, self nourishment and the link to Mother Nature as our ally. A Finger of God always requires some adjustment and integration of parts and experiences that don’t quite flow with ease, but when it gets in alignment you have access to some magnificent Grace ~ your life becomes a catalyst for synchronicities, opportunities and the poetic and imaginative to express through you. Following the eclipse mid month, the personal planets will begin shifting out of mental air sign Aquarius and into emotional water sign Pisces. Venus has already moved on the 10th into Pisces, Mercury follows on the 17th right before the Sun moves into Pisces for a month on the 18th where they all will join Neptune and Chiron. All planets are direct now until March 8th when Jupiter will retrograde in Scorpio, so it’s a time of movement, progress, and a forward-looking cycle. Those of you who are sensitive may feel the shift into the new water element some five hours after the eclipse as the Moon shifts into Pisces giving a taste of the shift of the Sun into Pisces on the 18th. February is a funny month with no Full Moons of its own as January had two, on the 1st and 31st and next Full Moon is on March 1st. Use this progressive Aquarian influence to move on the new templates that are forming in your mind.